If you missed this morning's post with the awesome June Silhouette Promo, you don't want to miss it! Part of this month's bundle features Silhouette's Temporary Tattoo Paper, and I got to play around with the material last week. The big selling point for the Temporary Tattoo Paper is that you don't have to have a Silhouette SD machine to make your own tattoo creations! I'll be honest and say that tattoos are not really my thing (I'd end up with something like Phoebe's), but my girls always go ba-nanas when they receive temporary tattoos in party goodie bags. I wanted to come up with an easy project today that would something useful for other mamas out there. What would you do if you found this adorable child wandering outside of Disney World's Space Mountain? She's old enough to tell you that she's lost. She knows her own name, and her mom's name, but she's so upset she can't remember her phone number. 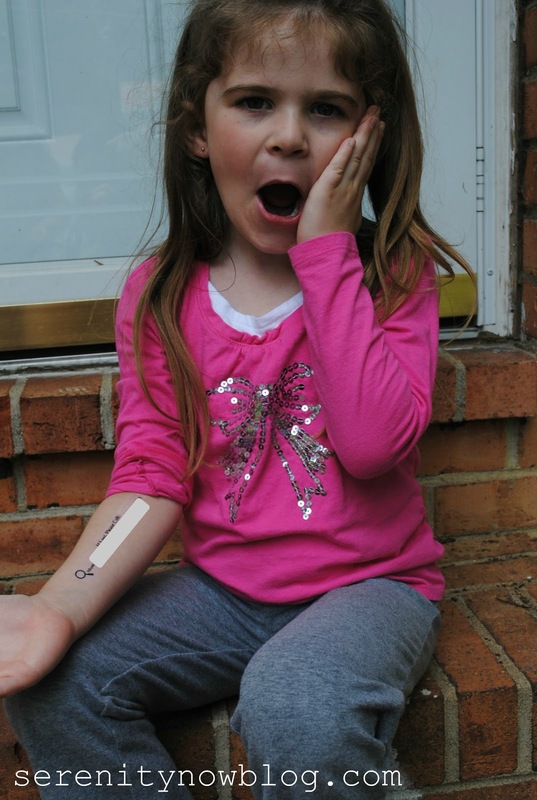 If she's wearing a Child Safety Temporary Tattoo, you can take a quick look at her arm and call her mommy (that would be me). 1. 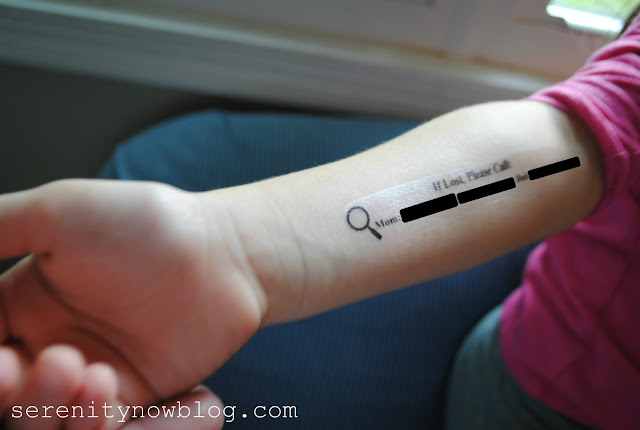 You can use any Word Processing program to create your own tattoos, but I worked with my Silhouette software and a magnifying glass clipart piece that I imported to my Library from MS Publisher. 2. I made sure to reverse my image before printing. 3. Regardless of whether you own a Silhouette or not, you'll print the images on the glossy white side of the tattoo paper. 4. When your images are printed, you'll peel the green backing off of the separate adhesive paper and lay it directly on top of the tattoo images. Smooth down well with a pan scraper. 5. If you own a Silhouette, this is where you would send the paper through the Silhouette machine on "Double Cut." As a fairly new owner, I had some trouble with this step--It cut completely through the paper on the first cut, as opposed to the second cut, and it started to cut the magnifying glass separately from the rest of the tattoo. I was so mad that I cut the machine off to save the tattoo paper and decided not use the machine for that step. 6. If you don't own a Silhouette, you'll just cut out each image separately with scissors, giving you a nice little pile of square tattoos.This probably took less time than actually sending it through the machine, and I liked having the images in squares/rectangles. 7. 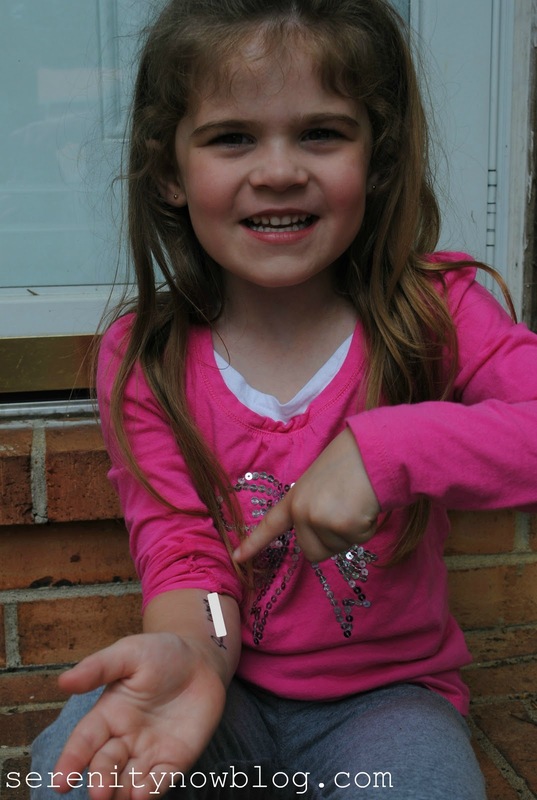 Peel the backing off the tattoo, place it on the skin, and soak with a wet paper towel for 10 to 20 seconds. The backing will come right off! Clearly, I blocked out our phone numbers here for the sake of the blog, but you can see that I added a spot for "Dad" just in case "Mom" might be unavailable by phone. If you're traveling as a family, you may want to add grandma's number or someone else who can get in touch with you in case of emergency. These are great for trips to the amusement park, museums, field trips, large parks or festivals, etc. It's a fine line to know what kind of information to provide. I didn't add our names or Natalie's first/last name because you don't want just anyone to be able to stand next to her and copy down our information. You could also place it on the ankle underneath where a sock would be, so it's not visible to just anyone. But I think it's a great way to help authorities locate me in the event I am separated from one of my kids. 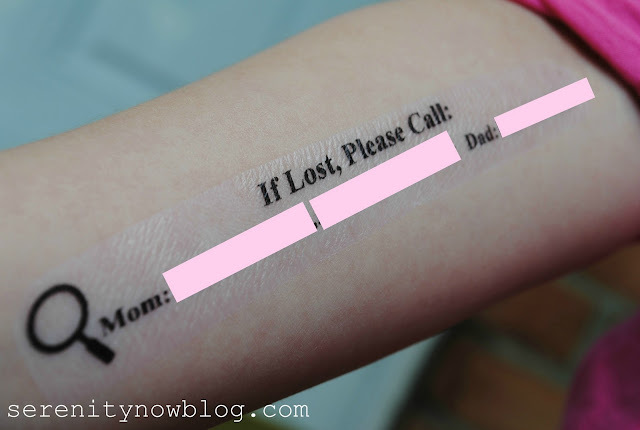 I've seen similar tattoos advertised online with child safety sites, and they offer similar information printed...for a lot more money. They normally run about $20 for 30 tattoos. I think you could easily fit 30 child safety tattoos on one sheet of the Silhouette paper, and it's only $10 for two sheets (four including the adhesive backing). In other news, Jen from Tatertots and Jello invited me to guest post today, and I am so excited! I hope you'll stop by her spot to see my Decorative Tile Memo Board and leave me some comment love! If you're stopping by from Tatertots and Jello, welcome...I hope you'll stick around. *Next Tuesday will bring Myth #2 in my new Blogging Myths blog series. Hope you'll join us for the ride as we explore some of the misconceptions bloggers (and readers!) have about blogging! This is a great idea, Amanda! I remember writing our names and phone numbers on the back of one of my husband's business cards and tucking a card into each of my boys' pockets. The tattoo method is much better! And what a cute little model you have! Amanda, what a great idea! I wish I'd had this for my sons 20 years ago. I remember searching for one in a busy department store when he decided it would be funny to hide in a clothes rack! For a long time after that I wouldn't let go of his hand. ok that is an awesome idea!! I need to get some of that paper for my machine. Cute idea! I discovered your blog from Tatertots & Jello, and when I read your bio which includes a love of reading, NYC, and crafting, I knew I'd have to stick around. Those three things describe me the most. Well, that, and that stay-at-home mom business. 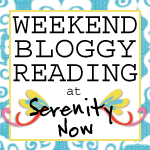 I'm really enjoying your blog! Hi! I just saw your quest post on TTAJ Loved it! Your blog is sweet! Love the tattoo! Just wanted to say Hi- have a great day! This is such a good idea!! I don't have kids, but I'm going to send this on to my sister who has 2 kids. They are going to Disney this year, so I'll have to make these for her! FAbulous idea! 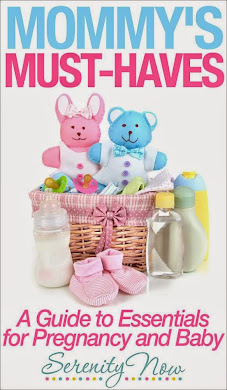 This would be especially useful for L, since he couldn't even tell anyone his name AND he's a definite flight risk. Thanks for sharing. It's amazing the things people come up with!!! Love it!! Btw...I wanna go to Disney world in the worst way! Tattoos are a good idea! I've always told my kids if they get lost to find another mother with kids and ask her for help. I heard that tip a long time ago (probably on Oprah or something). This is such a great idea! I have to get some of that paper too and try it out! Thanks for sharing. This is a great idea. Especially for my four year old who doesn't speak very well yet. If you don't have printer or special paper just write it with a pen! One of my biggest fears is losing my kids in the airport. I take luggage tags from the airport counters, fill them out and attach one to my kids wrist and one to their belt buckle. For some reason I feel like they have a bigger chance of getting lost at the airport than anywhere else.